I try to be very good during the day but when the little people in this house are tucked up for the night I invariably think of treats that I might deserve!! Toss all the ingredients together and roast for 25 mins. 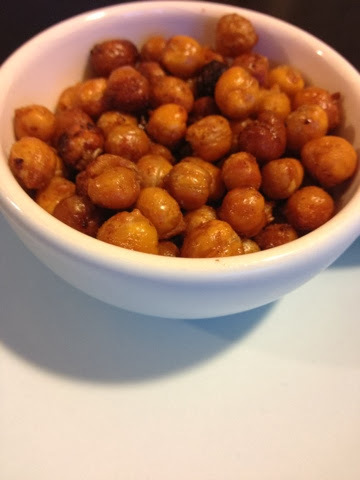 Pop you popcorn either in a saucepan or in a microwave. While popcorn is still hot melt about 15g of butter in the microwave. 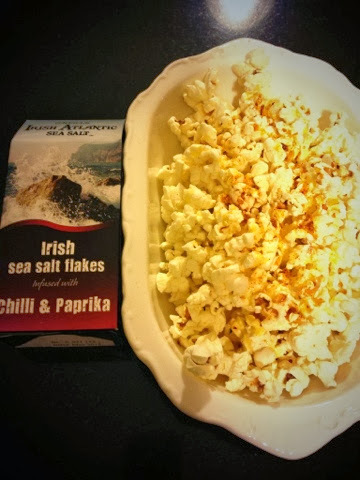 Sprinkle generously with the aforementioned Irish Sea Salt infused with Chilli and Paprika. Another suggestion which works is some finely grated Parmesan cheese. No excuse now…..a few mins of preparation in return for very yummy snacks.